Anthony Cummings believes Rosehill winner Sky Boy deserves his chance in the Villiers Stakes. The Villiers Stakes looms as the summer target for Sky Boy and his co-trainer Anthony Cummings believes he can go even higher than Group Two level as he continues to mature. 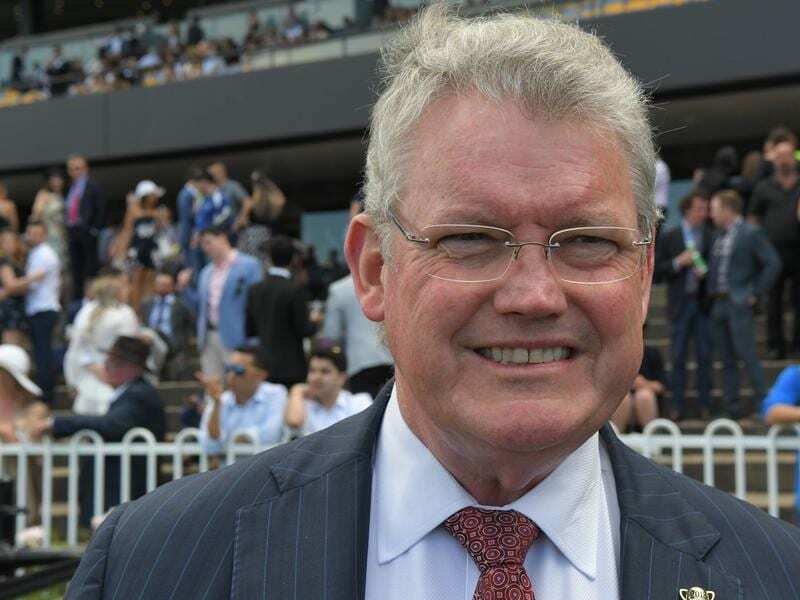 The four-year-old claimed his third consecutive win this preparation in Saturday’s Australian Turf Club Handicap (2000m) at Rosehill, leading all the way in a forced change of plan. Cummings and jockey Christian Reith had hoped he could get cover but it failed to materialise and Sky Boy ($1.90 fav) toughed it out under 60kg in front to hold off Nicochet ($10) by a short neck. “The horse we thought would lead didn’t and he was left in front,” Cummings said. “He is much better with cover but it didn’t turn out. “They challenged him throughout the race and despite the weight he was still able to respond under pressure and win. Sky Boy is raced by Think Big Stud and the estate of Dato Tan Chin Nam who died last month. The gelding is by Group One-placed Pendragon out of Zazabelle who ran third in the 1999 Melbourne Cup. Both horses were trained by Bart Cummings and raced by Dato Tan before Pendragon became the foundation stallion for his Think Big Stud in the NSW Southern Highlands. Duncan Ramage, who managed the Australian interests of the Malaysian businessman, said Sky Boy’s heritage made Sky Boy a special horse. “He’s by a horse raced by Dato and trained by Bart out of one also raced by Dato and trained by Bart,” Ramage said. Anthony Cummings, who trains in partnership with his son Edward, said Sky Boy would return to Rosehill in two weeks. “He’ll run in an 1800-metre race here in a couple of weeks,” he said. Saturday’s race was a Benchmark 78 with the 1800m-race in two weeks at 88 level. The Group Two Villiers Stakes (1600m) is at Randwick on December 15 with the winner guaranteed a start in the Group One Doncaster Mile in April.